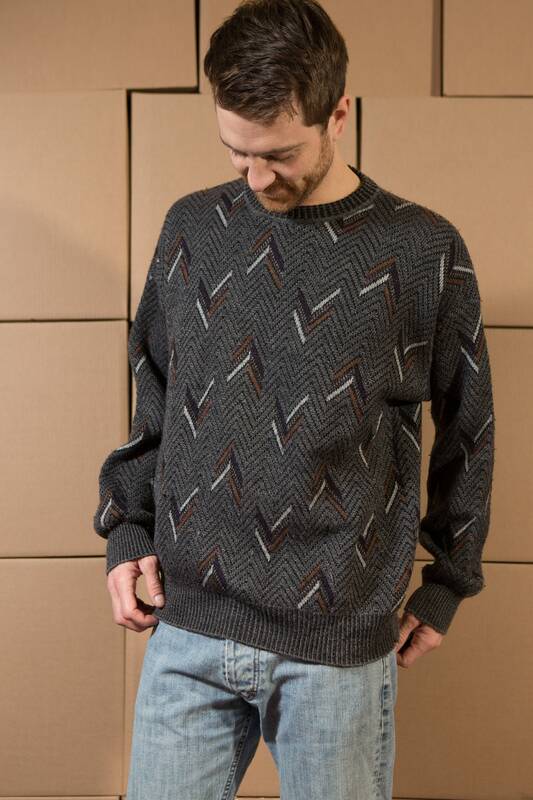 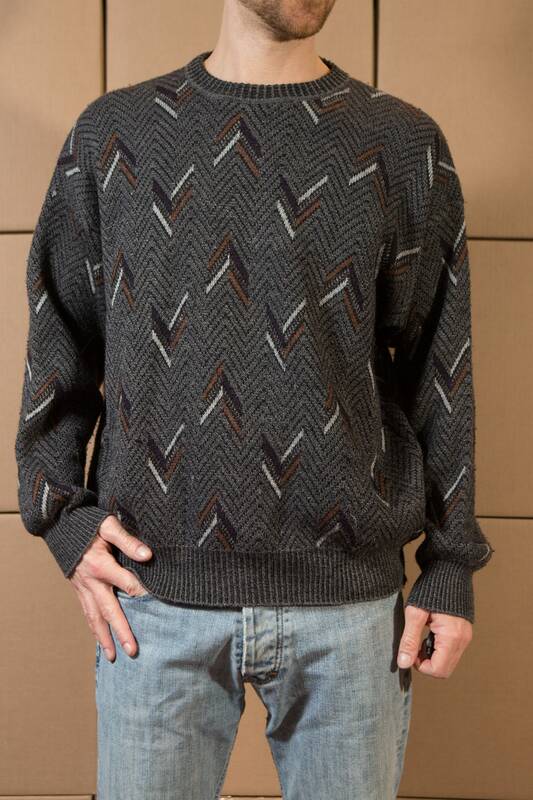 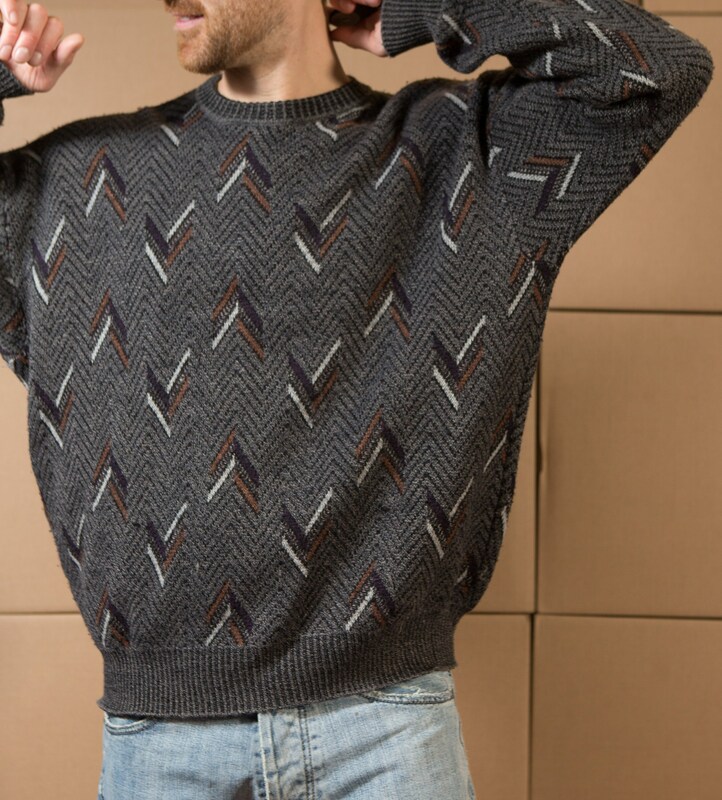 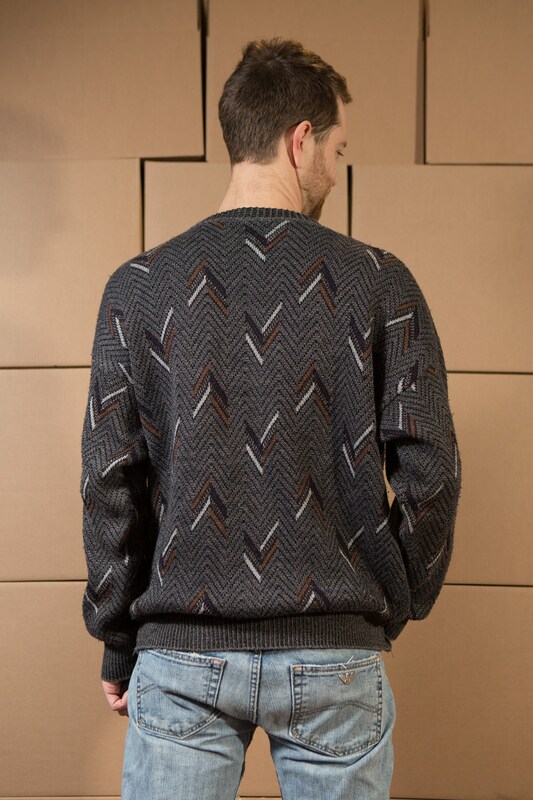 This is a vintage grey crew neck sweater with a chevron pattern. 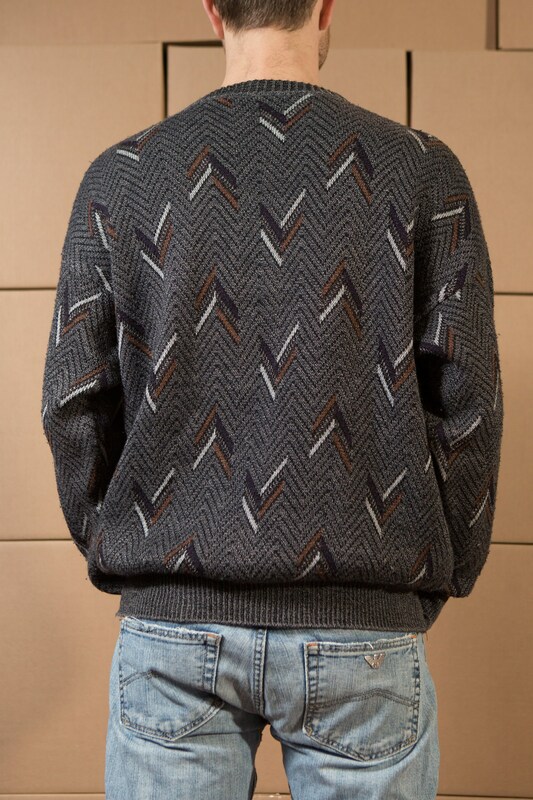 Brand: Avanzata for Harry Rosen. 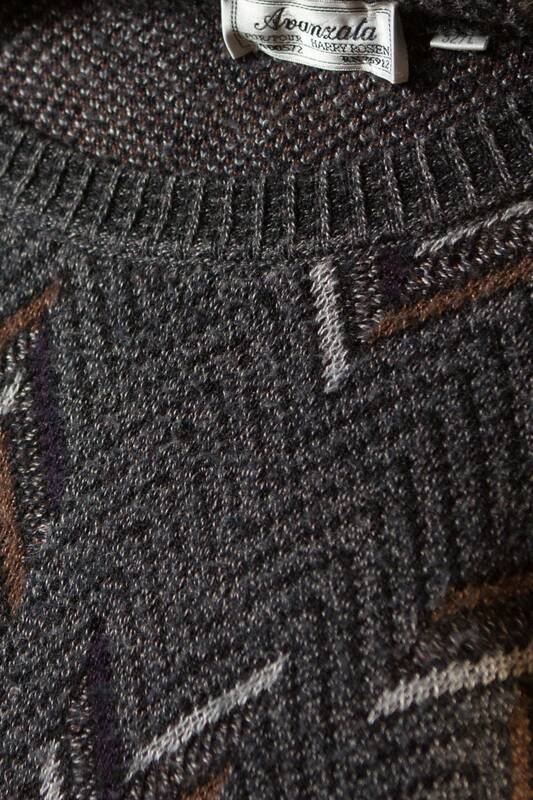 Material: 65% merino wool, 35% acarylic. 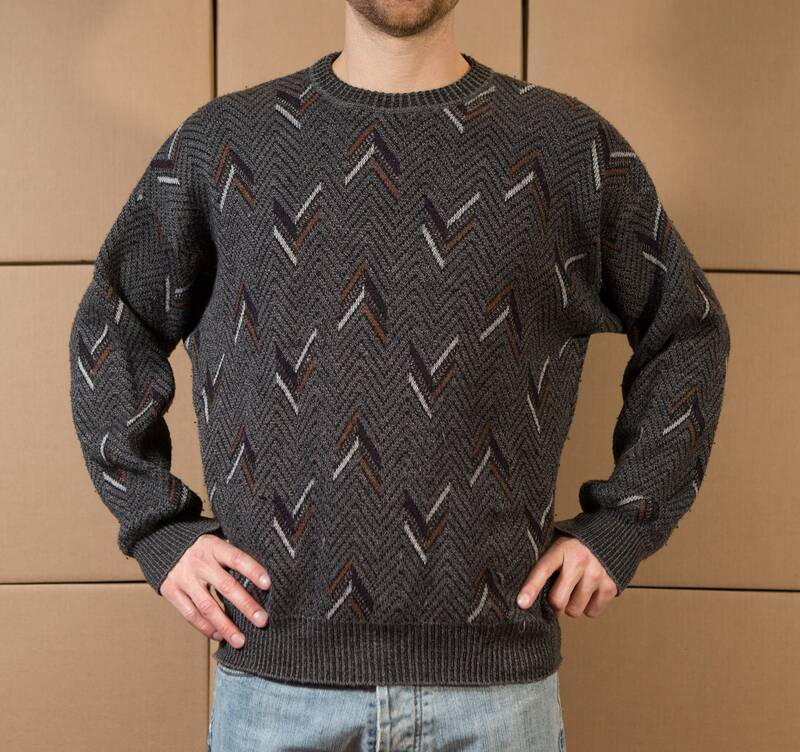 Sleeve length (top shoulder seam to cuff): 21.5" plus drop shoulders.